Meaning: not involving the transfer of heat, or im-pass-able to heat. An adiabatic process is one in which no heat is exchanged. It's related to the First Law of Thermodynamics and consequently various other sciencey things, including weather. Logofascination: 2. I'm still on a science-word kick. If I have made any sense of what I've read*, the weather part kicks in where you have changes in temperature caused by changes in atmospheric pressure, as opposed to changes in temperature because heat has been added or removed (e.g. by a desert wind or an Antarctic wind, both of which you will get in an average Melbourne day). Etymologically, it's from the Greek for "not to be passed through". In the wild: Reading up on names of winds; wind-words are one of my special logofascinatorial sub-categories. The adiabatic process is influential in both a Foehn wind and a Katabatic wind. Usefulness: 5, unless you can wangle it convincingly into a conversation with a scientist, or meteorologist. I am tempted to stretch it to my bedroom: an adiabatic chamber, impassable to heat. *amateur translation here; let me know if it's not quite right. Meaning: One quintillionth* of one second; a nanosecond is a mere billionth of a second. Logofascination: 2. I find the specificity of science words fascinating (though see below re: quintillion); yoctosecond and zeptosecond sound rather like someone made them up. I suspect whoever got to pick the prefixes for those ones went looking for the interesting sounds. In this case, atto- is from the Danish for 18. In the wild: In a gorgeous Nautilus piece on the speed of photography - apparently we're getting close to attosecond exposures. Usefulness: 2. When a nanosecond is just too long: "I will be with you in an attosecond." *to a certain value of quintillion. It's like billions - it depends who you ask. Meaning: It seems to be both the crimped hem on a pastry and the pattern crimped into it. 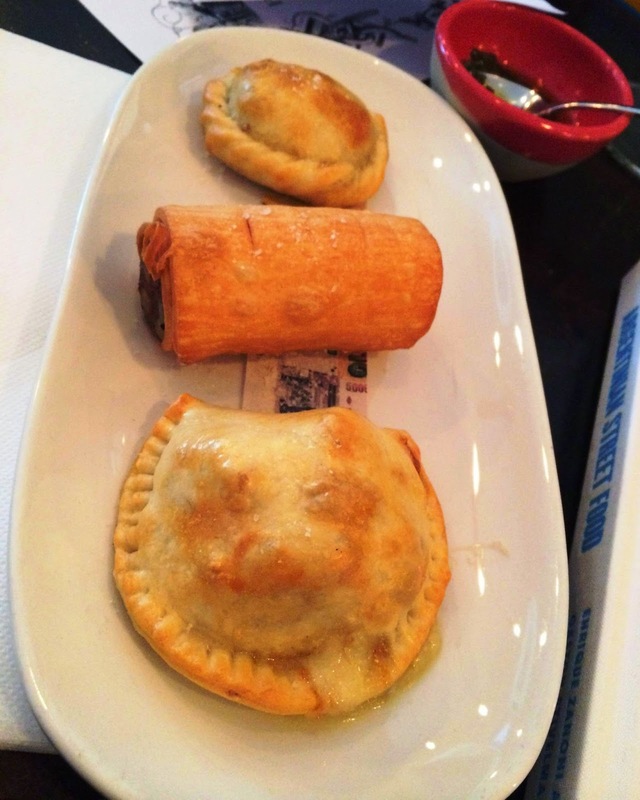 It's from Argentinian Spanish, since the repulgue lets you know what's inside your empanada. Logofascination: 2, for the 'word for everything' factor. Of course, English has words for it; rather than hemming (repulgar, the source for repulgue) we have fluting* and crimping. Where repulgue goes a step further is that it has become a specific noun; repulgar is hemming of fabrics and of pastry, repulgue is the pastry hem. In the wild: In the lovely-looking Argentinian Street Food, launched in Melbourne today on a sea of Malbec with a fleet of empanadas. Or maybe just three. Braiding for the beef, lines for the leek-and-Roquefort. No repulgue for chorizo, perhaps because you could see the filling? Usefulness: 4, unless eating empanadas (coming soon to a food truck near you) or pasty/ies. Of course, you do now have another 'did you know there's a word for..?'. * On fluting, I am rather fascinated that a slightly obscure architectural term has been preserved in a very specific cooking term, not to mention back-formed into the verb 'to flute'. Meaning: Ammunition belt, although originally it meant anything worn across the shoulder 'scarfe wise'. This leaves the hands free, hence - presumably - the popularity with mountaineers and rifleers. 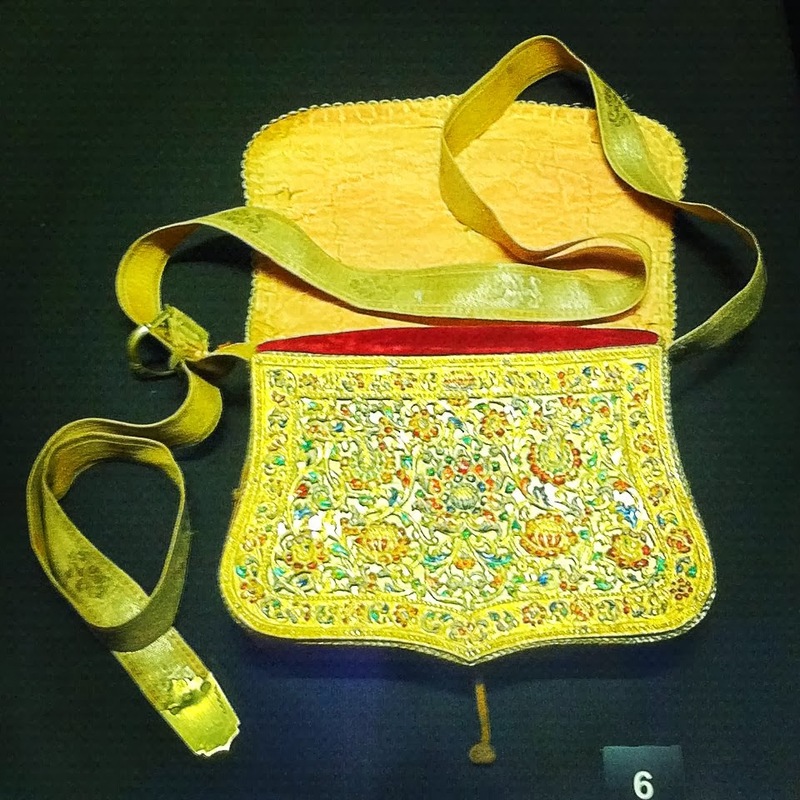 Ottoman Bandolier: I'd like one. Logofascination: 2. Etymologically it's 'little band*'; a word that has wandered through German, Italian, Spanish and into English via French (but sometimes straight from Spanish). Its meaning shifted to ammunition container quite quickly, perhaps not surprising in 17th century Europe. In the wild: Hardly wild, but we're still in the Viennese museum of Arms and Armour. 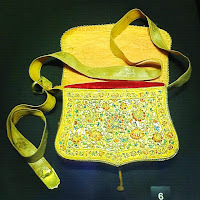 I discovered that the gorgeous bag I was coveting was, in fact, a bandolier and have been meaning to look up the etymology ever since. Usefulness: 3. 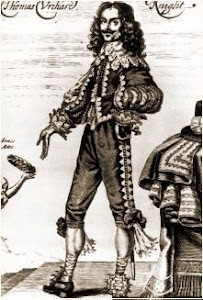 More useful is Cotgrave's bandouillier, one who wears anything 'scarfe wise'. I do this a lot. *not related to bandit, which is someone who is banned. the front-stall, head-peece, or forehead-piece, of a barbed horse. Bonus word: a horse's armour is bard(ing), although no-one's quite sure why. This has since extended to the practice of wrapping bacon around poultry when roasting; good to see a useful word so deliciously recycled. Logofascination: 2. Partly due to the 'there's a word for everything' factor, and partly because of the wide and wild variety of the spelling. I had it written down as chanfron, and Wikipedia has chanpron, but ngrams finds that chamfron is most popular (using the word popular quite loosely) and the OED only gives us chamfron or chamfrain. In the wild: The Viennese museum of Arms and Armour, back in 2011. I told you I hoard words; I thought it was time to get onto my back-catalogue. It also turns up in Cotgrave, who I do recommend browsing. Usefulness: 4, unless you're writing historical fiction, or touring an armoury museum. Meaning: a counter-intuitive driving manoeuvre in which you turn across oncoming traffic from what feels like the wrong side of the road; in effect you join the traffic stream perpendicular to yours. Video here. Logofascination: 4. It's a turn that looks like a hook. This word was only saved from a really boring 5 rating by functioning as a semi-shibboleth for Melbournians, and the ANDC taking so long to add it. It's not in the Australian National Dictionary yet, but we've had electric trams (why Melbourne needs hook turns) since 1908. In the wild: An ANDC post on the just-released seventh edition of The Australian Pocket Oxford Dictionary mentions some new additions, and it turns out that 'hook turn' has entered those august pages (and that I have a first edition; for some reason most people didn't think that was as cool as I did). I'm sure the ANDC have done a better job of defining it. Meaning: self-sufficiency; the k is a subtle signal that this is in the economic sense, as there is also autarchy, or self-rule, which is from entirely different origins. 1635, H. Valentine: "It may as well stand upon its bottome, and boast an Autarchie, and selfe sufficiencie." 1957, T. S. Eliot: "A general autarky in culture simply will not work: the hope of perpetuating the culture of any country lies in communication with others." In the wild: A pretty boring post on the apparent withdrawal to nationalism (note to markets: it doesn't work). I'm interested in economics and the free market, and I still skimmed it; that chap needs an editor to send it back asking for more jokes. Usefulness: 2. "Want a drink / dinner / lift home?" "Nah, I'm an autarky tonight, thanks." "If the various attempts at Communism - in which I include France - have taught us anything, it is that autarky does. not. work. You may have your decorative farms on rolling hillsides, but you pay the price in riots in the quais and queues in the patisseries." You can follow the blog on Twitter @sdostu, or via the subscription options below. Here I hoard words, indulge my mild obsession with Sir Thomas Urquhart, and quote from he and Rabelais as I please. It grew from a theory that every word in English is within six degrees of a word invented or used by Sir Thomas Urquhart, a logofascinated spirit if ever there was one.